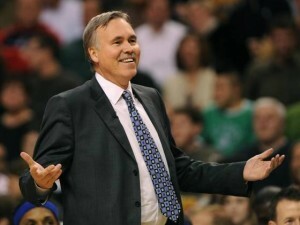 The Lakers hire Mike D’Antoni as their new head coach. In an unexpected twist, ESPNLA.com is reporting the Lakers have hired Mike D’Antoni, not Phil Jackson, to be their next head coach. From all accounts Phil was just “asking for the moon” and the Lakers were unable to come to an agreement with him. For the complete story, check it out at ESPNLA.com. Caracter has a $473,000 contract this year with $250,000 guaranteed. If Caracter weighs 275 pounds or less on Sept. 10, the contract becomes fully guaranteed. There is a future for Caracter in “Laker Land,” especially with the team letting both DJ Mbenga and Josh Powell go this off season. If Caracter can keep himself in shape, there is some playing time to be had. And it seems the Lakers are willing to reward him financially for doing so. This writer knows that for $177k, he’d surely keep himself under 275 pounds. Of course it would take two of him to equal that weight, but I digress. Maybe the Lakers should have thought about employing this when Shaq still wore purple and gold. The Lakers only pick of the 2008 NBA draft, Joe Crawford from Kentucky, sat down today with Lakers.com and gave his first real interview wearing the purple and gold. Follow the link below to watch it!